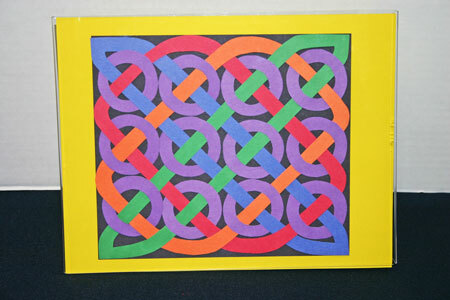 Our easy paper crafts project shows how to make this Celtic design with 12 circles using simple tools and inexpensive materials. The results are both beautiful and interesting. The first version uses construction paper for the design and background. The yellow matting is simply 24#, yellow 8.5×11 printer paper. 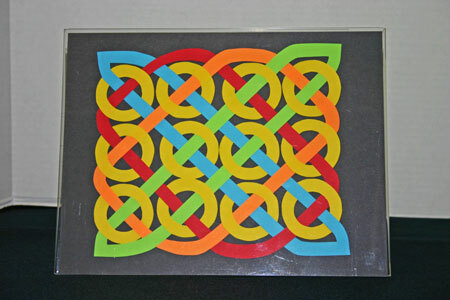 The next version used five different colors of 8.5×11 printer paper on a black construction paper background. The tools are simple too: scissors, pencil, eraser. As for the frame, it’s optional. The versions here are in a simple acrylic frame found in office supply stores. 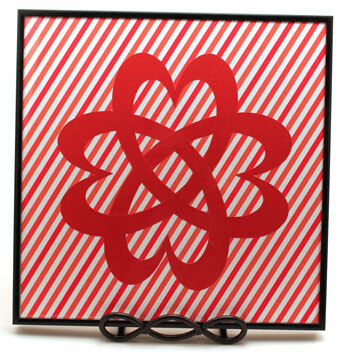 Or, you can place your design with a matte in a nice frame for a stunning picture. Or, more simply, just glue the project together and display as a paper design. Even more fun, the components do not have to be precision cut. In fact, wavy lines and slight variations in the widths of the cut forms make the design even more attractive. Have fun creating your own version of this project! 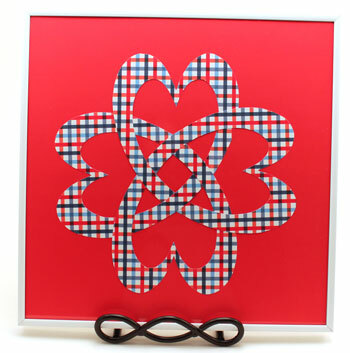 Click here: Easy Paper Crafts – Celtic Design 12 Circles to download the patterns and see the how-to steps.